Niche eCommerce Success Story. Interview and Case Study. What does it take to successfully launch and grow a niche ecommerce business? 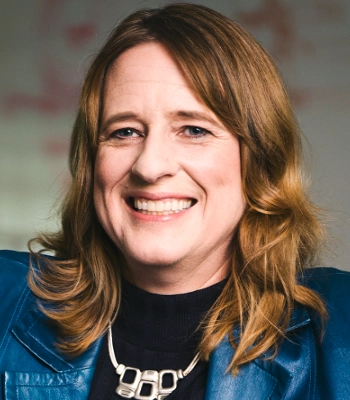 We find out when I interview Elisabeth Halvorson, founder of Cowbells.com who turned an childhood dream into a niche ecommerce success story. Why did you start a business selling cowbells? When I was 7, I wanted to be in the Olympics. 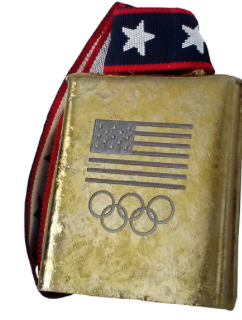 A few careers later, I was able to catch up with that dream by delivering cowbells to cheer on athletes during the 2002 Salt Lake Olympic Winter Games…. hey, mittens don’t clap. It was a RINGING success! We medaled in souvenir sales as the #2 most popular item behind the Roots beret. Since then, we’ve added more cowbell styles and a “s” to our name…. How did you start marketing your business? At the start in 1995, there was no budget, except for creativity, resourcefulness and “bell dollars”. The marketing strategy was WIT (whatever it takes). I was everywhere, literally. Cheering with 20+ bells hanging on my arms at ski and sliding events (Luge, Bobsled and Skeleton). Pitching stories to newspapers, TV and radio. This was before Social Media became a thing, so I was social. Instead of real dollars, I’d use “bell dollars” to trade for product exposure. At one event, the US Skeleton coach said “you’re late!” I guess I had kind of become their mascot and he noticed I wasn’t there for practice. I had been driving up from the airport after taking the first flight from California. I was there so much he thought I was a local. When I’m at an event I always end up bumping into somebody that leads to something. For example I meet the publisher of CycloCross Magazine at CrossVegas, and they wrote a story about about cowbells. CrossVegas is a Cyclocross event. It’s an off-road bike race course with a few obstacles thrown in. The competitors pick up their bikes and maneuver over hurdles as part of the race. It started in Belgium, for a while it was the fastest growing sport in the US. It’s really about being out there, connecting with the people and seeing where the relationship takes you. What do you find challenging about marketing cowbells? 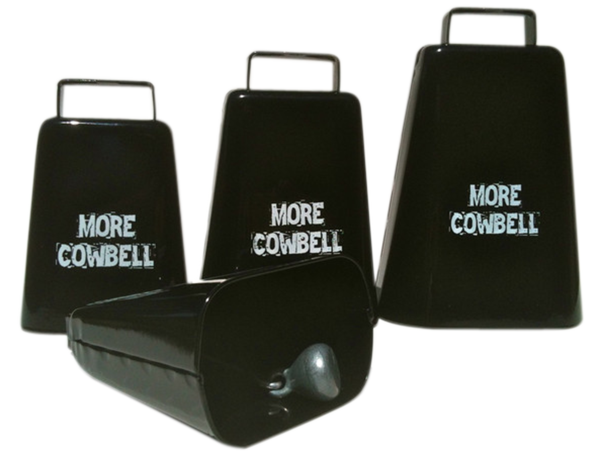 Selling a common but niche product with an innovative use… a cowbell as a cheering bell…. requires consumer education and time. When I first started people would ask; “What are you doing with all those cowbells?” By the end of the Salt Lake Olympics, people would ask; “Oh is that a Moen Bell?” That’s when I knew I had succeeded in educating the consumer. But it takes time, it really took seven years to become an overnight success. We’re fortunate that Cowbells.com has had good Google search ranking, and I want to keep that. I really appreciate the excellent SEO audit you did! It was an eye opener! You supplied us with ways to maintain and even boost that super important top ranking. It’s really amazing how much things have changed. I think it’s easier to work smarter now because of social media. That’s a challenge, I’m not there yet. I have plenty of ideas, it’s implementing them that’s the work… it’s a challenge to create the time to figure it out and do the work. I’ve hired social media and website marketing gurus, but it hasn’t worked out and the investment is far greater than the return. Can’t do that for long and stay in business. From this experience I’ve learned I can’t hand over the whole project. It’s better to divide up the work and then pull it together, like a conductor. There’re some great tools out now that I want to try, like the app Kit that automates marketing on the eCommerce platform Shopify. Wish me luck! For a small business, public relations is the way to go. No budget required, just resourcefulness and time. I started with local news outlets to get experience and grew it from there. 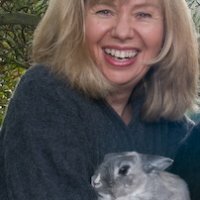 I like connecting directly with a writer. For example, I sent an email to the writer of an article I liked complementing him and mentioning how it related to my business. He wrote back and we ended up with a half page article in the San Francisco Chronicle. Yippee! I’d suggest to work to define your hook. 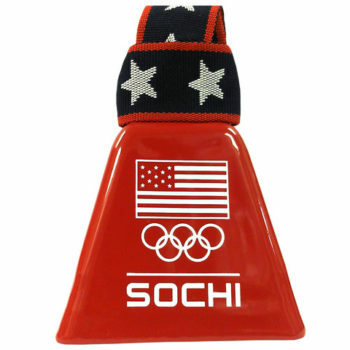 For me that could be that we are the sound supplier of the Olympic Winter Games, because we supply cheering bells for spectators to cheer on the athletes. I could pitch that to the local papers and NBC affiliate. The home run would be if the local story got picked up by A.P. (Associated Press) and other newspapers ran it too. To take that a step further to social media… what can I do with the question… “What is the sound of the Olympics?”. Hmmm…. My challenge is getting it all done. I know I should prioritize tasks, stay focused, manage time… but I’d like to think I’m not the only one who gets distracted by shiny objects or has to start over on a project after a trip. You know, that’s a challenge with being creative, ideas bounce around in your head like balls in a pinball machine, you want to do everything at once, when you really need to be focused on priorities. Then, you run out day. Accounting is the foundation of a business. Hiring a bookkeeper and graduating from spreadsheets was the best MOOve…. It helps with planning and monitoring the health of a business. Having the accounting platform online allows for remote access to data and invoicing. 2. Shopify.com (from $29/month): eCommerce platform. A business broker told me it’s considered the “gold standard” for Internet businesses. Glad I’m already using it! I really like their 24/7 phone help and the platform’s ease of use. Just wish I bought their stock when they went public…. 3. Fiverr.com (mostly $5/projects): Their tag line is good… “Freelance services for lean entrepreneurs”. Great deal for amazing services and custom projects. It’s super cost and time effective for photo editing, pay $5, upload photos, they are often ready the next day. 4 Google Docs (free): Spreadsheets in the cloud. I project ordering needs, keep notes, etc. I’ve heard Evernote is good too. I’m an aspiring minimalist and will stick with Google Docs and learn what else I can do with it. 5. MailChimp.com (has free version): AMAZING platform for email marketing and auto responder emails to customers. Easy set up through Shopify App store. 6. Background Burner (free): If you want to DIY photo editing Background Burner and Canva are useful. Bonanza’s Background Burner can need some tweaking, but it’s a very cute dragon that fire breathes away the background of photos. The results are not as pro looking as Fiverr, but it’s free and good for something quick and useful for Amazon product photos that require white backgrounds. 7. Canva.com (free, plus): Photo editing with the ability to buy art. After removing the background, copy and/or special effects can be added with Canva. It’s a Guy Kawasaki site, and he’s so cool. His Wise Guy videos are MOOvelous, like the one on how to enchant people. With the goal to streamline, simplify and automate (good mantra), I plan to start using tools for Social Media. I think these will be great… once I get them set up. 8. Buffer.com and Hootsuite.com (have free versions): Social Media schedulers have free versions that complement each other. 9. Product Options ($9/month) App for Shopify platform that allows customers to order custom products and upload graphics. 10. Kit (free): Automates Social Media advertising on Shopify stores. How has outsourcing worked for you? 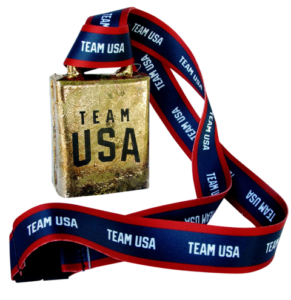 Since before the 2002 Olympics, I’ve been working with the same wonderful herd (team) of independent contractors for production, engraving, printing, warehousing, shipping, accounting, writing, and sewing (ribbons and webbing for bells get sewn into loops). That’s worked great. Maybe it’s because cowbells are an obscure product or maybe it’s me… but when it comes to marketing, outsourcing has not worked well. I’ve hired people to do the tweeting and social media with less than stellar results. I have heard it’s a good idea to keep Social Media in house. Recently I’ve been working with a marketing firm for different types of ads and it hasn’t worked out. I like to collaborate with other people, but I’ve come to the conclusion that handing them the whole thing doesn’t work. It’s better to divvy the project into parts. What about competition from Amazon? Yes competition from Amazon is an issue. It seems like everyone goes directly to Amazon rather than searching for a site. But it’s not just competition from Amazon, it’s also competition ON Amazon. We used to be the only seller of cowbells on Amazon, but now there are lot of competitors selling cheaper bells on the platform. People like cheap. We do offer bargain Bells, but we like our high-quality selection for the long run. We also sell on eBay. I am looking at the Walmart platform. Etsy would be nice for our custom bells, but it seems complicated and higher maintenance. What’s holding you back from taking your business to the next level? Oh a lot is holding me back… mostly myself. I need new photos and a new site theme, really a new better website. Especially now that sales from Amazon have gone down. The website also needs to be promoted more and convert better. I would love to do more video. I think video vignettes with cowbell stories would be fun. Video is quick and easy to do with an iPhone and it’s easy to store on YouTube. To me video would the quickest and easiest way to go. It doesn’t have to be perfect, just fun. What I’d like to do is find some neighborhood kids and have them ring bells. Create short little videos that are engaging and cute. Even better would be to have customers send in videos… I feel a contest brewing…. In John Warrillow’s book “Built to Sell: Creating a Business that Can Thrive Without You”, he emphasizes that the business should not be dependent on the founder/owner. So to extract “the bell lady”, we hired Bessie Bovinae, a cow puppet as our new spokes bovine. That’s a mini step before I can sell the business. Next is to beef up sales, streamline, simplify and automate. I feel like I’ve got the “what”, it’s the “how” that I want to discover. What would you want to learn the more about Online Marketing? I’m really interested in finding and leveraging the power of influencers. I’ve seen cases where an influencer has been sent a hokey little product and they gone viral with it. How great is that?! Good article on marketing. Thanks Kathy mam! Elisabeth is the real champ at marketing. She’s a total go-getter!